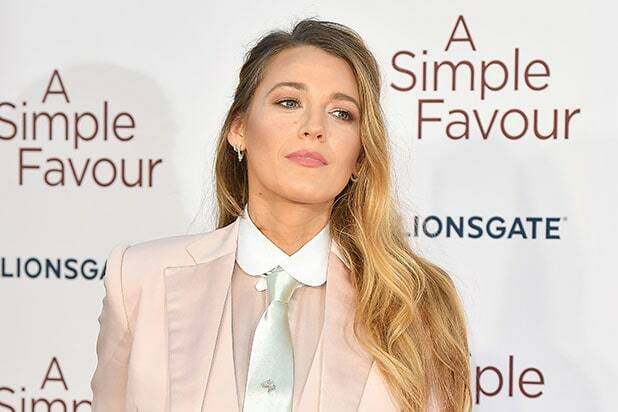 Blake Lively has called out the fashion world’s “double standard” of wearing suits following a fashion editor’s remark that the actress was spotted wearing “suit number 1,356” on the “A Simple Favor” press tour. Red Carpet Fashion Awards founder Catherine Kallon joked on Instagram that Lively wearing a pink Ralph Lauren suit to the U.K. premiere of Paul Feig’s noir thriller was “suit number 1,356.” However, the actress quickly responded to make an overall statement about the industry. Lively has been wearing an array of different suits during the press tour for the new film she stars in alongside Anna Kendrick, with her garment choices being a direct nod to her character, Emily, a mysterious woman who is a fashion publicist. In fact, fans are feeling Lively’s suits, both in the movie as well as on the press tour. “A Simple Favor” also stars Henry Golding, Andrew Rannells, Joshua Satine and Ian Ho, and is in theaters now.